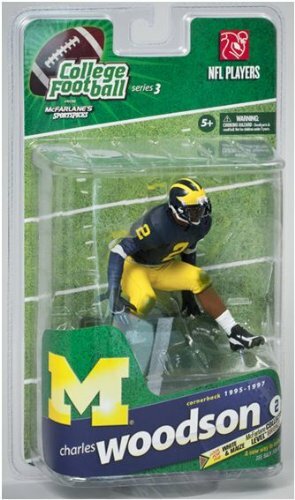 McFarlane Toys NCAA COLLEGE Football Sports Picks Series 3 Action Figure Charles Woodson (Michigan Wolverines) Blue Jersey by McFarlane at J State Tigers. SKU: 69311020. MPN: 74650. Hurry! Limited time offer. Offer valid only while supplies last. Sporting his Michigan Wolverines uniform, this Charles Woodson 6inch Action Figure is part of McFarlanes NFL Players College Football Series 3.